Receive $25 off your next vehicle repair at Transmasters Auto Care in San Diego, CA. Restrictions may apply. Limit one coupon per customer. Cannot be combined with any other offer or special. Coupon must be presented in advance. Transmasters Auto Care in San Diego, CA has been the top choice for automotive repair and service in the area since 1989. 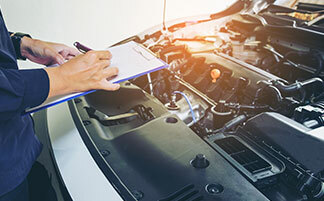 We are the Domestic, European, and Asian specialists and can help with any repair or service that your vehicle may need. 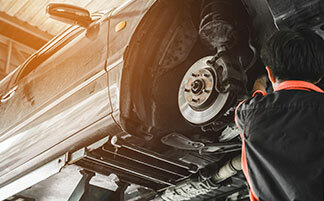 You can trust that we will take expert care of your vehicle. 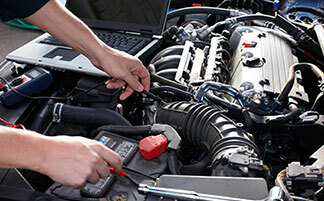 Our mechanics are ASE Certified and highly trained and experienced when it comes to cars. Our San Diego auto repair shop offers excellent customer service, quality repairs, and a hassle-free environment. We stand behind the quality of our repairs with an outstanding 24-month/24,000-mile warranty. We also have a complimentary local shuttle service for customers who need a ride home or to work, and loaner vehicles are available when needed for larger repairs. Our shop also has the latest computer diagnostic tools to accurately diagnose any problem correctly the first time around. At our family owned and operated auto repair shop in San Diego, we specialize in Ford, GMC, Chrysler, Toyota, Honda, BMW, and Audi vehicles. We have a comfortable waiting area for your convenience equipped with coffee, WiFi, water, and TV. If you have a question about your vehicle or need a service or repair, don’t hesitate to stop by our shop or give us a call today! A true alternative to the dealer. Looking for an affordable alternative to the high transmission repair service pricing at the local dealership? Transmasters Auto Care can help. We cover all the mechanical repair for your automobile. 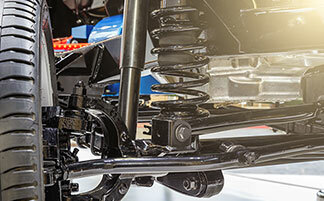 We maintain the life of your car's suspension, wheels, and tires. We keep your car running with regular maintenance. We work on your car's electrical, wiring, and electronics. We provide a 2-year/24k-mile nationwide warranty for engines and automatic transmissions.